For the last 25 years I have often been in a room of 50 people and been one of the only woman, or maybe one of two women…that are in the room. And I have a confession to make that in all of that time I didn’t do too much about it. I would notice and beyond that do very little. A challenge, Davies argued, was that the popular perception of the computer scientist as white and male means that women and people from other ethnic backgrounds are self-electing not to investigate the field. Pivotol provides one of the field trip locations for the Girls Who Code program and Davies highlighted their work; Girls Who Code exposes female high school students to computer science through code clubs and summer immersion programs. The outcomes they have achieved are remarkable: 90% of over 10,000 students who have gone through their summer immersion program go on to major or minor in computer science or another closely related field. Perhaps more interestingly, 77% of those students would not have majored in computer science prior to attending the Girls Who Code program. Another challenge that Davies highlighted is the fall in the number of women taking computer science at university since the 1980s. “Things can be done about this," she stated. The University of Washington, for example, has finessed their programs. They have made it so that the initial programs in computer science teach subjects from the perspective of things like biological sciences or social issues; things that tend to interest women. And they also have professors reach out to the young women who take the freshman class encouraging them to take the next class. Isis posted a post on Medium along with a picture of herself on Twitter with #ILookLikeAnEngineer. That started a revolution. 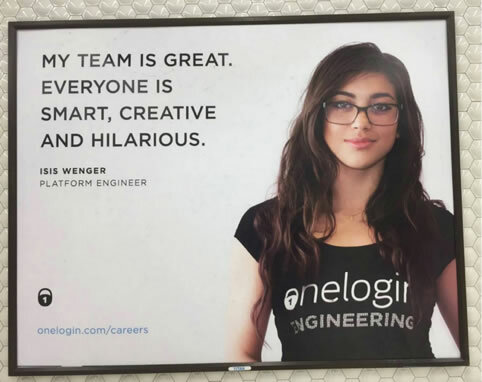 Over the next couple of months tens of thousands of engineers- men, woman, white people, people of colour - a whole slew of engineers - posted their photos to Twitter saying #ILookLikeAnEngineer. The reaction to Isis, Davies argued, was a result of people’s unconscious biases; something that we all have. She highlighted a number of tools including Textio, Unitive and GapJumpers Blind Auditions, a firm which Davies is on the board of directors for. I was recently at a conference where over the course of three days there were 18 key note addresses on the big stage, and all 18 of those were made by men. 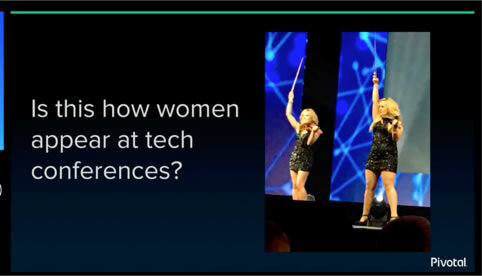 There were some women who showed up on stage and they were the performers who opened the conference. 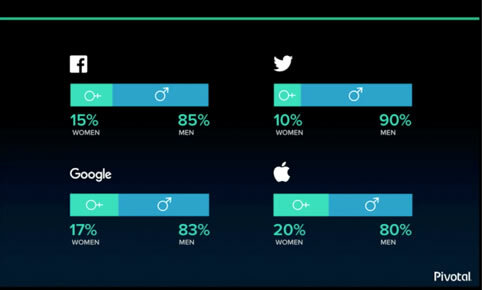 No women technologists or business people were on the big stage…I found that quite disappointing. Davies finished her section of the keynote by observing that diversity is also good for business. “Companies with more diverse executive boards have a higher return on equity and higher EBIT. It’s measured. We know this.” She closed by encouraging attendees to watch this video from Google Ventures which talks about our implicit biases.